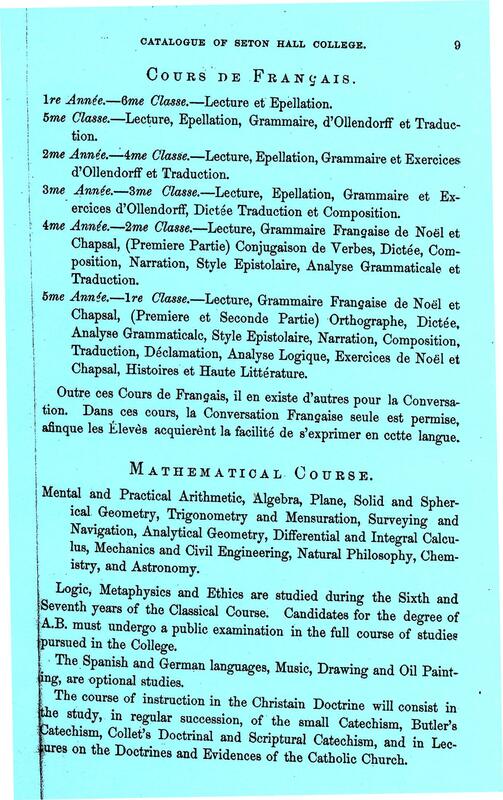 The history of Chemistry at Seton Hall had its start as a study option from the beginning days of its move to South Orange as part of the early “Mathematical Course” during the mid-nineteenth century. 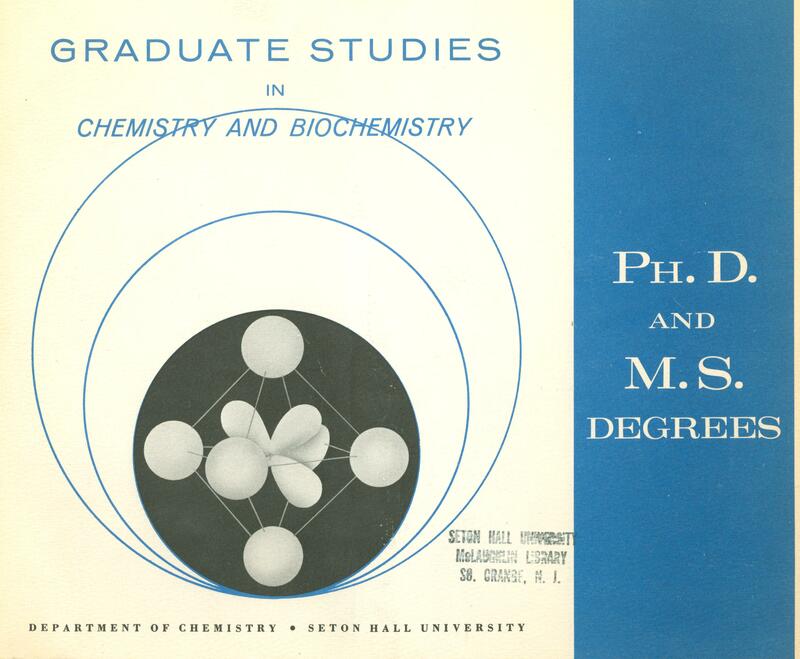 From here, Chemistry became a very popular attraction from which pupils found a means of scientific expression that would expand greatly after World War II on both the undergraduate and graduate level prior to the introduction of doctoral level offerings by the mid-1960s. This discipline has subsequently grown and endured as an important major choice of many students into the present day. With this in mind, a celebration of Chemistry and its place on campus is presently on display at the Monsignor William Noé Field Archives & Special Collections Center. This exhibit will provide a brief textual and visual overview showcasing the evolution of how the wonder of Chemistry has made its impact on the life of students, faculty, and the world at large. Included are various early nineteenth century written works and mid-twentieth century primers from our Rare Book and Setonia Text Book Collections that celebrate the development of Chemistry experimentation and have practical applications to pioneering practitioners in the field. 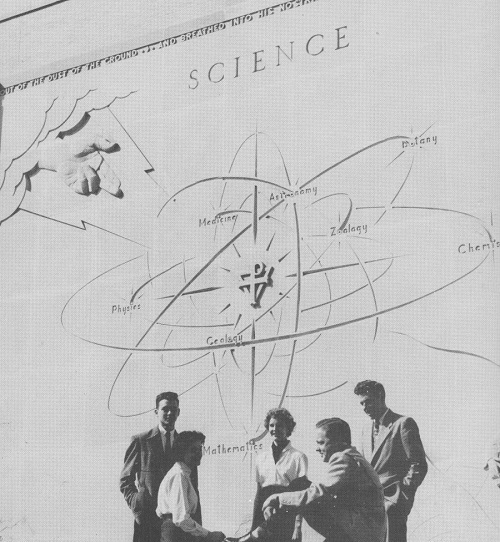 On a more local level, viewers will find lecture notes taken by Seton Hall student Alden A. Freeman during the 1879-80 term, information about pioneering faculty members, and photographic examples that show the evolution of lab space and structures over the years from Alumni Hall to the present day McNulty Science complex. Of particular note is the dissertation and a biographical sketch acknowledging the contributions of our first Ph.D. recipient Dr. William N. Knopka during the mid-1960s. Additional textual examples from the University Archives and tools of the trade on loan through the courtesy of Mr. David Edwards from the Science Department show further details regarding the curriculum, public programming, and student life associated with the Chemistry Department over its last five decades of educational outreach to the scientific community. Hopefully your reaction will be a positively charged one while taking in the historical relevance of how Chemistry and Seton Hall evolved successfully over time.